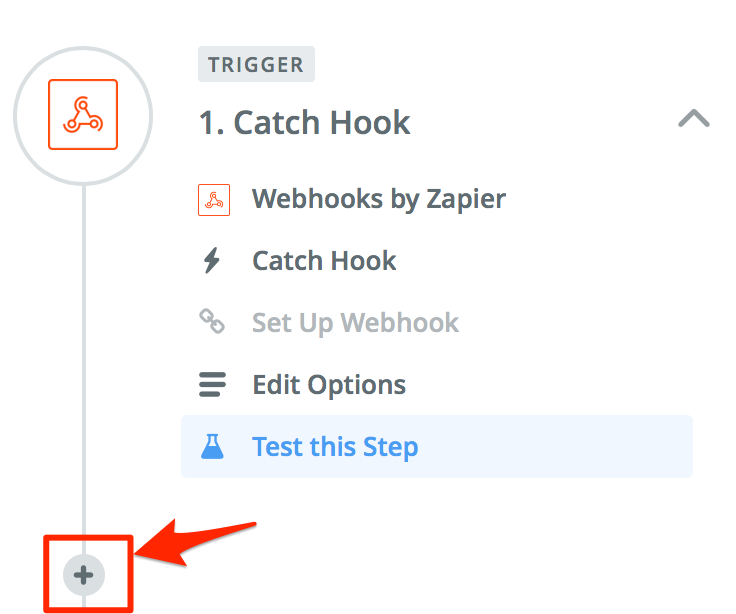 You'll need a Zapier account on the Basic plan ($15/month). Next, we have to choose the action app. This can be anything, but in this case, we'll use Slack. Save and enable the Zap. 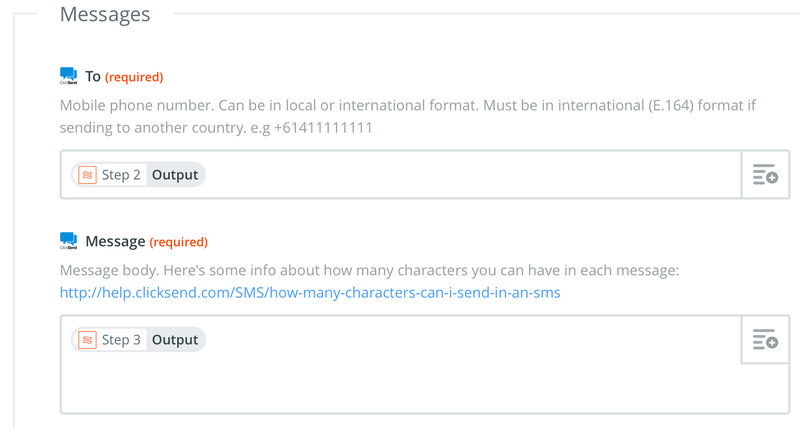 With this option, you can send SMS by typing into the #sms channel e.g. 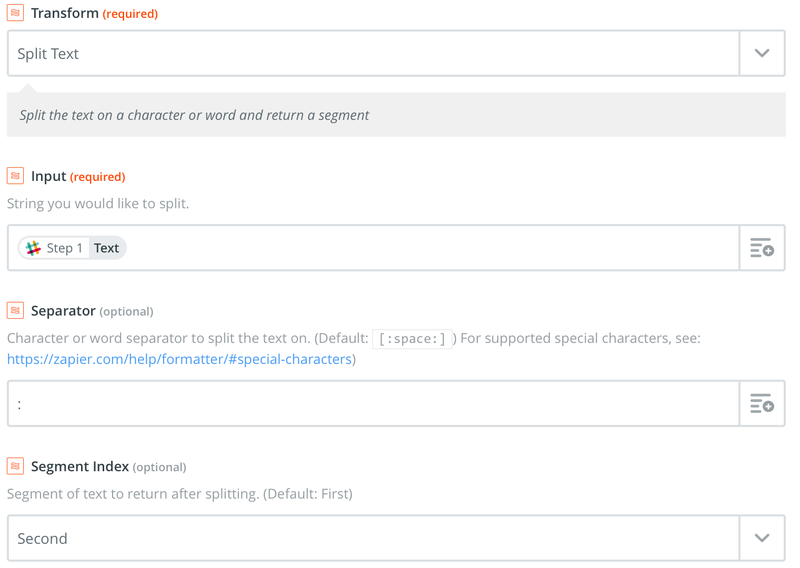 "0411222333:This is an example message"
Follow the connecting/testing Slack steps. Choose a channel in Slack to use (create one if you don't have one already). Note, this channel must only be used to send SMS - everything that's posted in this channel will be forwarded to Zapier. 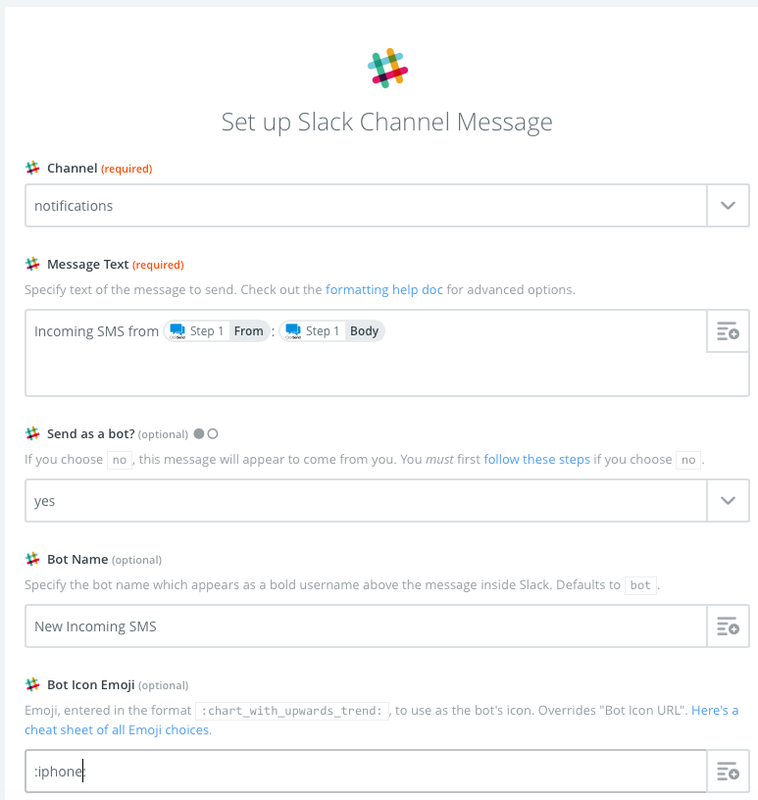 Test the step by posting into the Slack channel in the format: "mobile:message" e.g. "0411111111:This is a message"
Choose 'Text' - Work with text data to find & replace, capitalize, remove HTML, and more. 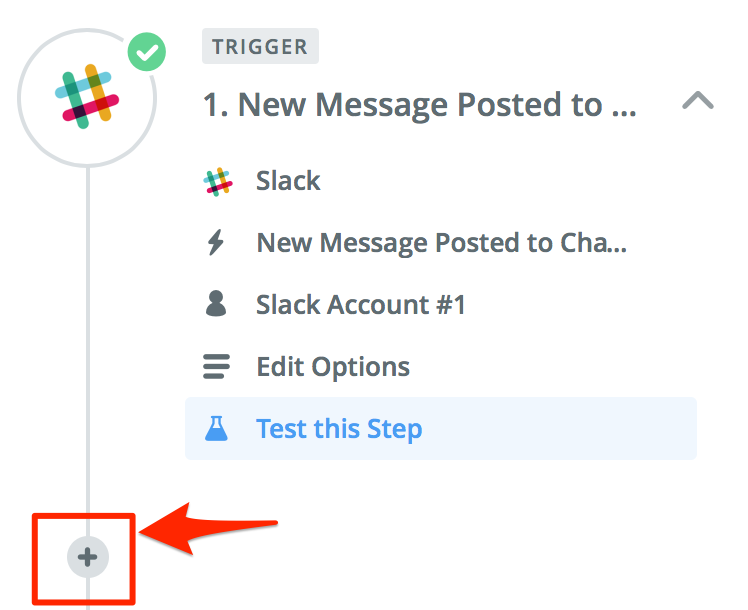 Test this step - you should receive an SMS if you used your mobile number when testing the Slack trigger. 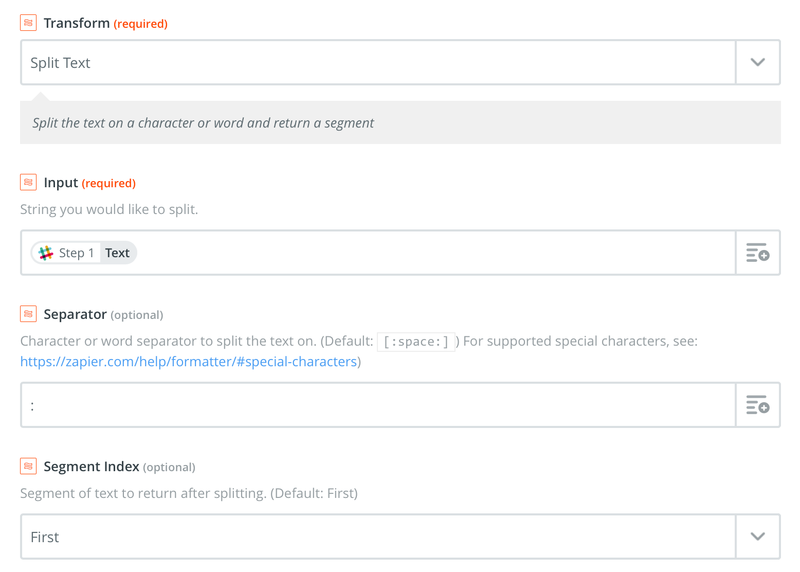 With this option, you can send SMS by typing a slash command into any channel or chat window e.g. "/sms 0411222333:This is an example message"
Copy the web hook URL generated - you'll need to enter this on step 8 below. Click 'OK I did this' and test out the Trigger by posting in Slack "/sms mobile:message" e.g. "/sms 0411111111:this is a test"